NOTE: Dropbox has changed the way things work. With a little effort, you can still share you photos using their service. As we don't pay to have enough space on the server to store everyone's photos for all eternity, I have often been asked how to best share photos on the forums. My answer is always Dropbox. They give you a good amount of free space (2GB) and, unlike services like Photobucket, don't re-compress your photos once uploaded. The interface is simple once you have installed their client on your machine, as it just uses a folder on your hard drive. There is an app for phones and you can do pretty much everything using the website, too. This guide won't cover setting up an account with them as they have perfectly good guides for doing that on their site. 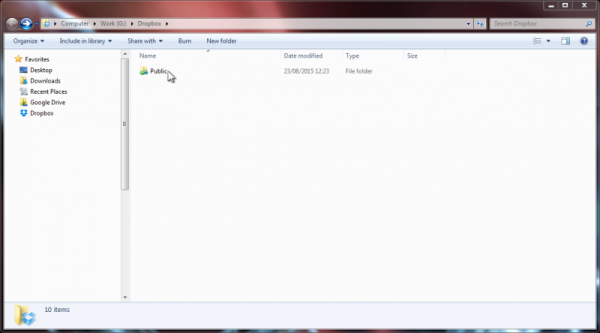 Instead, here is the guide to using the Public folder and inserting images on these forums. 1. Save your photos to your Public a folder within your Dropbox folder. 2: Right-click on the photo you want to share. 3. Click on "Copy public link" "Copy Dropbox link". 4. When creating your post, click on "Insert/edit Image". 5. Paste the copied link into the Source box. You will need to replace the "www.dropbox.com" in the link with "dl.dropboxusercontent.com" and delete "?dl=0" from the end of the link. You can enter a description and alter the size of the image. Leave Constrain proportions checked. Click OK. Note that the forum automatically shrinks images to the correct width. Images larger than this can be enlarged by the viewer by clicking on them. 6. Your image is in the post. It occupies a line on the post, so you can move it about and write text above and below it. I hope this is helpful. Any questions, please ask and I will update the guide with the answers.